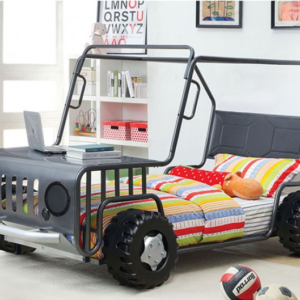 Fuel any child’s imagination with this rover design twin bed. 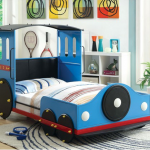 Sturdy metal construction and padded leatherette headboard offer both safety and comfort, while the front hood serves as a table for homework and play. 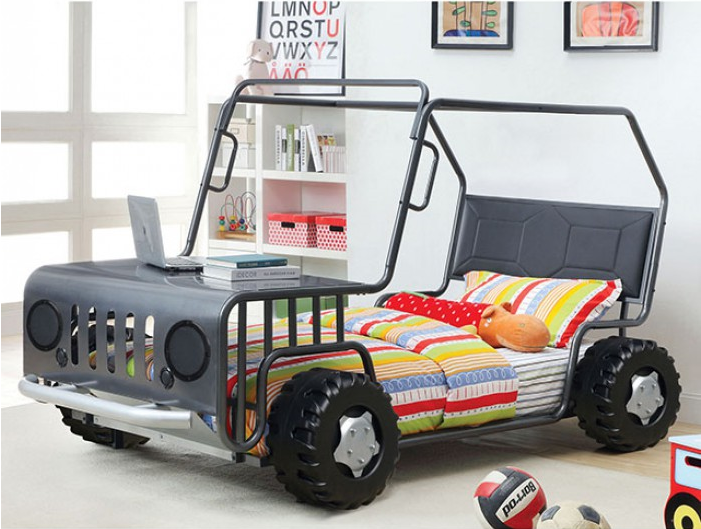 Finished in gun metal, this bed is made for explorers of the future.